Suntory is among the world’s leading consumer products companies, offering a uniquely diverse portfolio of beverage products. Established in 1899 by Torii Shinjiro, it is one of the oldest companies in the distribution of alcoholic beverages in Japan, and makes Japanese whisky. In 1922 they began to challenge making Japanese brand whiskey, and a truly Japanese whisky is born in 1937. In 1963, they launched Suntory Beer. In the 1990s, the food & beverage business that started in 1972 goes on to launch many new products and expands its share of the soft drinks market, and Suntory became Japan’s leading food and beverage company. Mr. Seiichi, Chief blender emeritus of Suntory Spirits Ltd., has eaten the same food at breakfast and lunch every day for 20 years. Because he wants to keep conditions as constant as possible. The sense of taste is more sensitive in the morning, so he does testing from 10 o’clock to around noon. Monday through Friday, and his routine there hasn’t changed at all. The basics of a blender’s work are the daily tastings. There are moments when the very same whisky can turn into something completely different. This only happens when you keep on patiently repeating the same work over and over. There are no perfect scores in a blender’s work, and a blender is always trying to improve quality, never satisfied. Born in April 3, 1989 to commemorate the 90 year anniversary of the Suntory, HIBIKI was created to be the paragon of the Suntory blend. HIBIKI is a harmonious blend of innumerous malt and grain whiskies aged more than 17 years, which are meticulously blended to create a full orchestra of flavors and aromas. 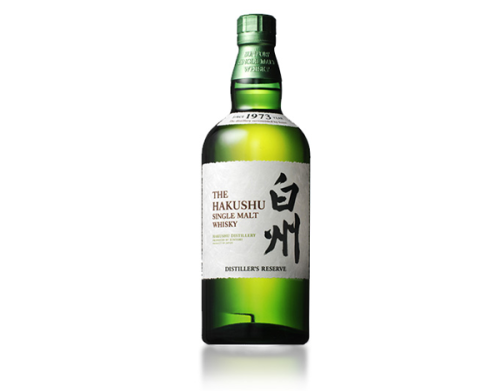 Hakushu single malt whisky is crafted with natural spring water from Japan’s Southern Alps in one of the world’s few mountain distilleries, nestled in a rich natural environment. The flavor and aroma with faint smoky tones that remain refreshing until the last drop are enjoyed by everyone from whisky lovers seeking genuine single malt to first-time whisky drinkers. Elegant flavor of the excellent craftsmanship and climate of the outskirts of Kyoto that was Japan’s capital for a thousand years. The estery fragrance has sweet, bright tones of flowers and fruit. 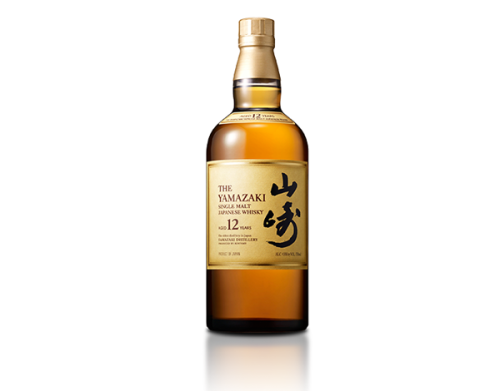 Yamazaki Single Malt Whisky has received high acclaim as a “noble” whisky at numerous international liquor contests. You can find a variety of liquors from Chuoshuhan on Rakuten Global. Chuoshuhan deliver wide range of products from Japan to worldwide. If you live in the United States click the link below. Major Japanese beverage maker Suntory says it’s stopping shipments of two of its premium whiskies because stocks are running low. 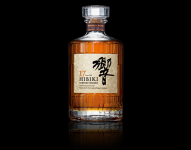 Suntory officials say sales of the brands Hakushu 12 Years and Hibiki 17 Years will be suspended after stocks run out sometime between next month and September. The popularity of Japanese whisky has surged in recent years after several brands won international awards. Major manufacturers in the country have also been promoting whisky soda as a mainstay drink. Domestic shipments of whisky have more than doubled over the past ten years. The company has been increasing its production capacity recently but demand has turned out to be much greater than anticipated. Suntory, Japan’s premier Whisky brand know for its innovative advertising campaigns that often feature Hollywood stars, has this time utilized Abraham Lincoln and other American icons by creating 3D ice sculptures. Developed by creative agencies TBWA and Hakuhodo, the new advertising campaign for “3D on the Rocks” features astronauts, mermaids and the Statue of Liberty. Suntory Holdings Limited and Beam Inc. today jointly announced that they have entered into a definitive agreement under which Suntory will acquire all outstanding shares of Beam for US$83.50 per share in cash or total consideration of approximately US$16 billion, including the assumption of Beam’s outstanding net debt.